If you look closely, you'll see the mouth of a Muskie above the tree tops as you enter downtown Hayward. 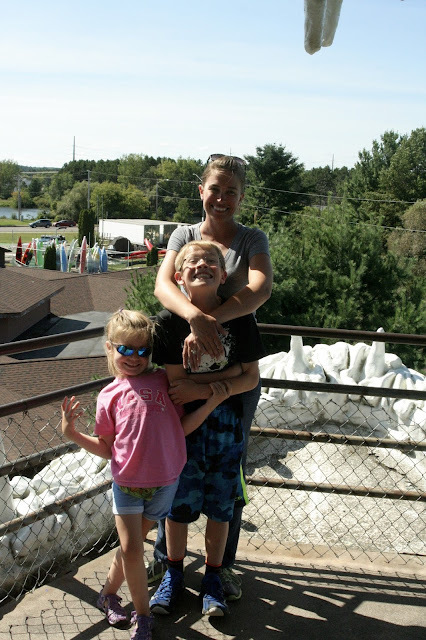 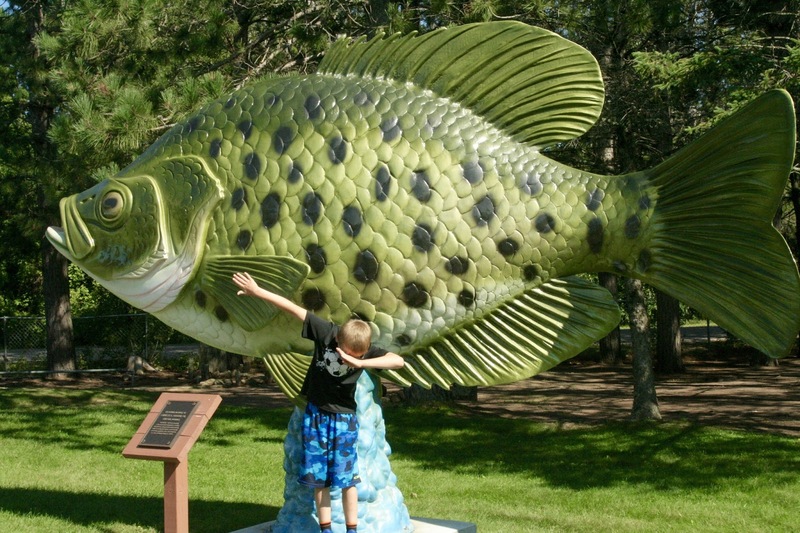 To understand why this is a tourist draw, I must inform you that Hayward is known as "the Muskie capital of the world," and this 4-story tall fiberglass fish is the world's largest roadside attraction to honor its namesake. Inside, is a museum. 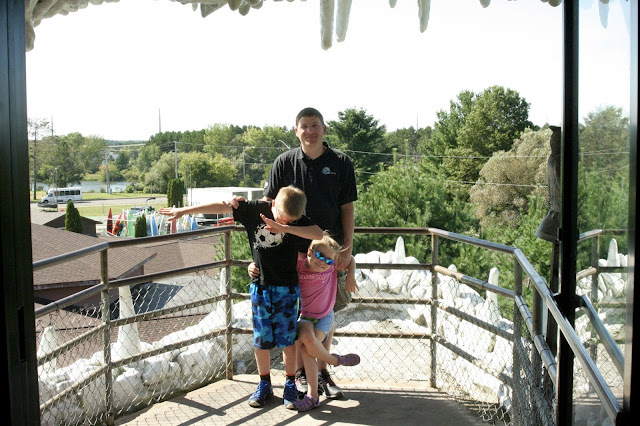 Enter through the fish's tail, and work your way up to its mouth where you're treated to views of Wisconsin landscape from the observation deck WHILE ALSO discovering what it's like to be eaten alive. 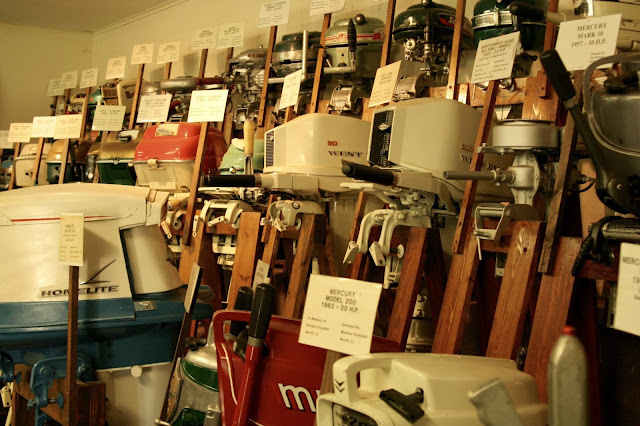 But this wasn't the weirdest thing about this place. 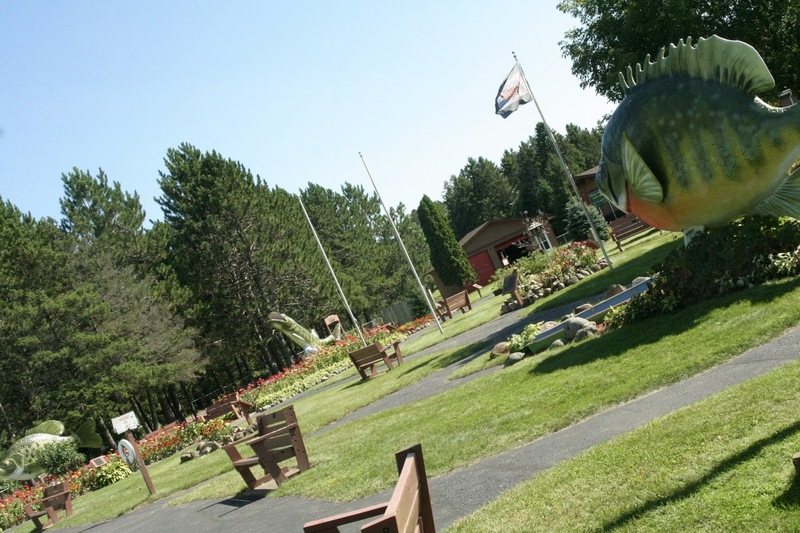 Oh no - as we walked the grounds, we quickly realized THIS WAS A MEMORIAL GARDEN where each bench and fish statue was dedicated to the memory of a "hall of fame" fisherman (and they all seemed to have passed in the 70s/80s). 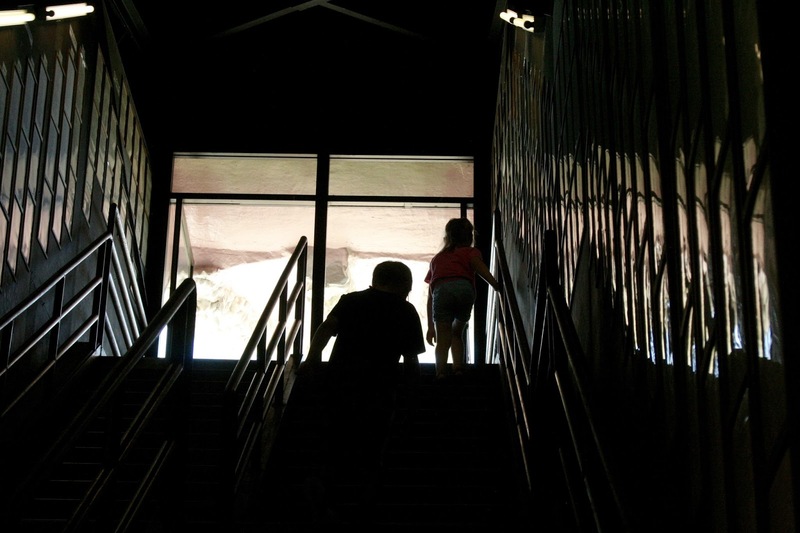 It was the most bizarre experience of my life. 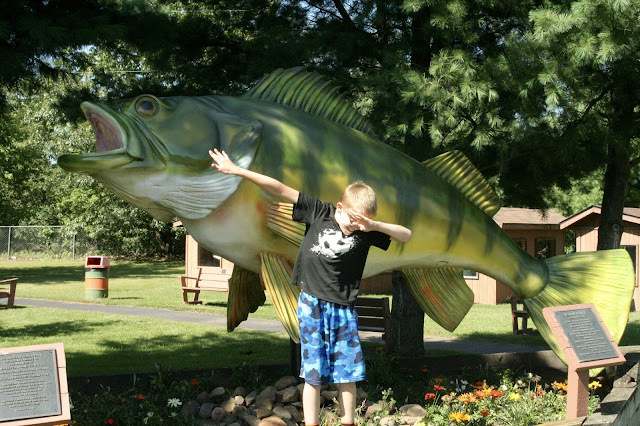 So you see Landen "doin' the Dab" in front of the Perch and Crappie statues in the memorial garden. His rationale was, he caught it; he must mark it. 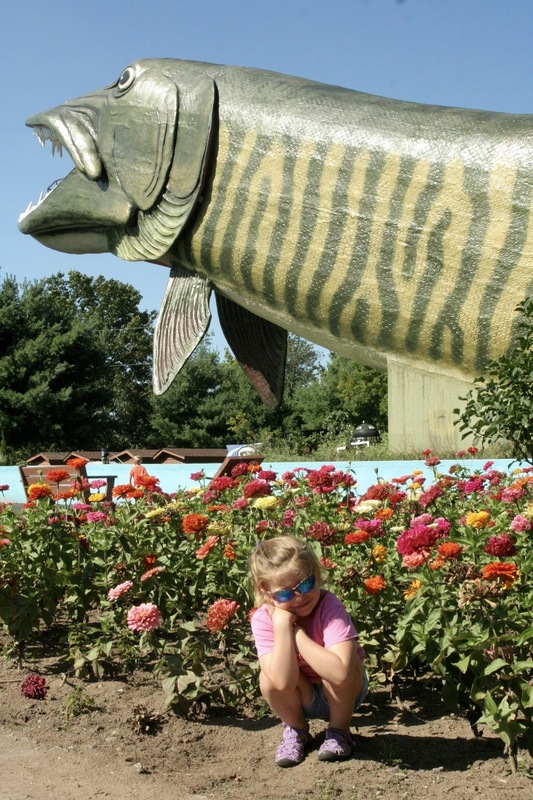 And then there was Maddie, who wanted to pose in the flower garden, but she insisted the Muskie be included in the background. 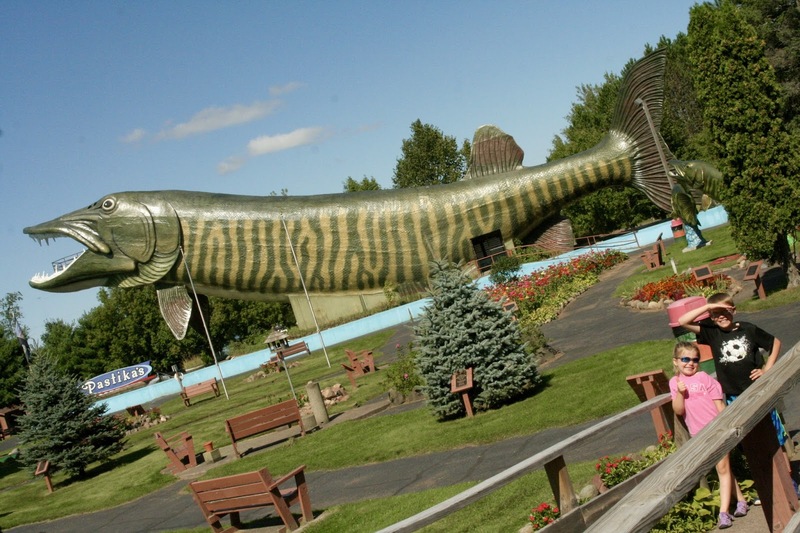 Side note: surrounding the Muskie was a moat that seemed to be a fish hatchery. But to fuel our suspicion, there were quite a few floating dead fish. In case you were wondering, I have absolutely crushed my bucket list this week.